He will probably want to go for a walk. Surely he will want to show off his stylish new apparel to all his doggy friends. 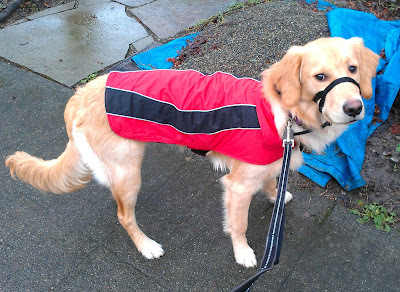 He will obviously want to go out in the rain, as to use his coat for its intended purpose. While on his walk, in the rain, while wearing his coat, he will most certainly parade proudly in front of you while enjoying how warm and dry he is.